Our fully customized POS software features are programmed to meet your restaurant's needs and it is compatible with your existing devices if you do not plan to upgrade them. The Ordyx team is dedicated to work with you to help your restaurant achieve its goals and expand across the industry. The Ordyx software is simple and easy to operate even for first-time users. With our unlimited and free training your employees will master the POS system in a matter of minutes, resulting in extreme reduction of costly error and wasted time. With Ordyx, you get access to our library of 50+ integrations that would help you run your business more smoothly. Our development team is also always up for a challenge to implement any new integrations of your preference. The Ordyx Mobile App makes table-side ordering now easier than ever. Your employees can take orders and send them directly to the kitchen, merge or split checks by seat number or individual items, and even take payments at the table. This functionality allows waiters to maximize their time on the floor and stay in contact with the customers. It is vital to keep track of sales and expenses to remain profitable. Our software allows access to reports for up to 5 years in the past to compare past and current reports in order to make the best business decisions. Running a restaurant is demanding and and time consuming and for this reason we have developed our Ordyx Remote App. 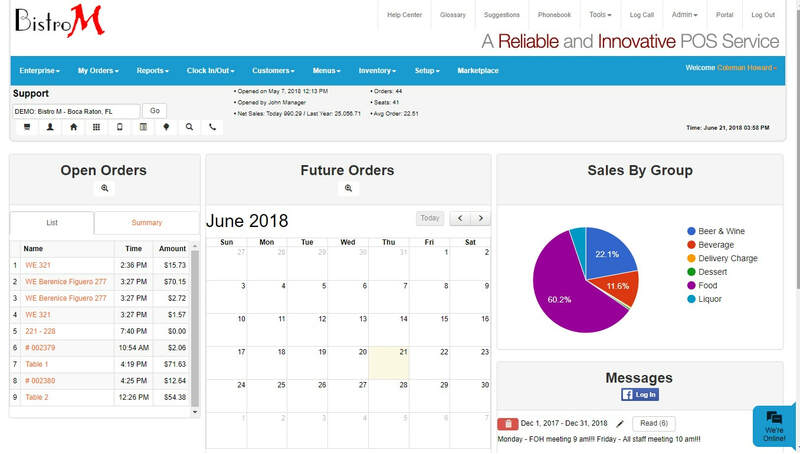 It allows you to manage your business by enabling the execution of all managerial duties such as approving voids and comps as well as running sales reports and even opening and closing the store.